Troy Ave, Fabolous, and Jadakiss link for "Do Me No Favors". If there's one thing Troy Ave has consistently done, it's rep New York. 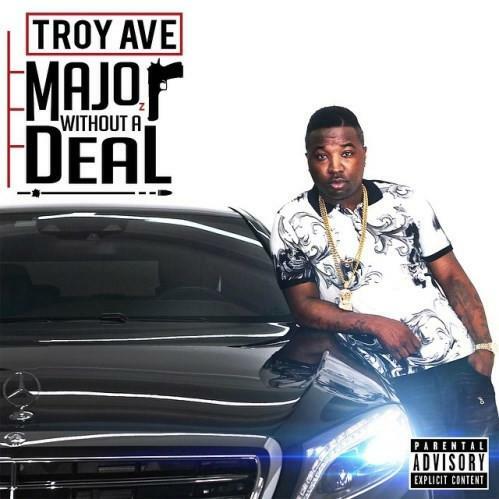 His new album, Major Without A Deal, hits iTunes tomorrow, and its full of features from New York's biggest names. Perhaps the most enticing song from a New York head's perspective would be the Fabolous and Jadakiss-assisted "Do Me No Favors," which has arrived today. A dusty string sample paired with some boom bap drums sets things up just the way you'd assume, as Troy contributes the hook, while Fab and Jada each hit us with a share of quotables. Look out for physical copies of the album to hit stores next week.